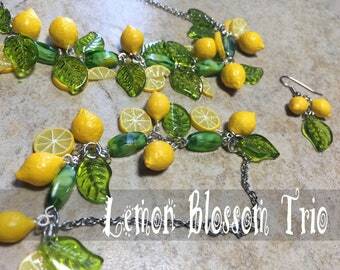 Today we have this gorgeous lemon slice retro set! 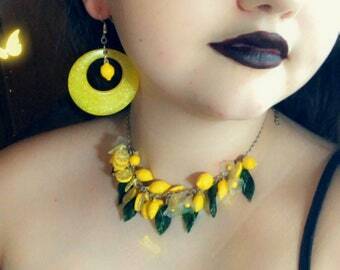 Large round lemon slices on both the necklace and earrings. The approx. 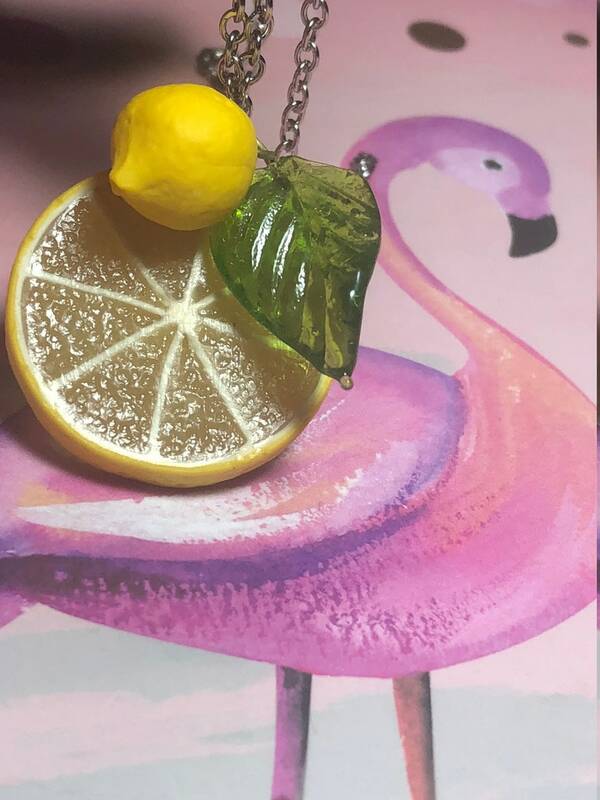 Size of the lemon slices are about the same size as a 50 cent piece. 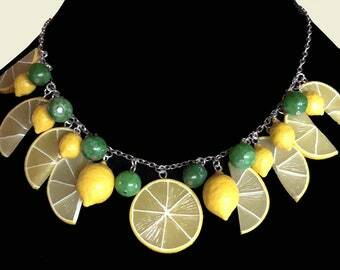 The necklace is 18 inches long but can be made longer or shorter if needed. 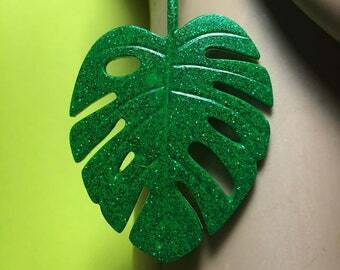 Just place a note with your order stating what length you would prefer. 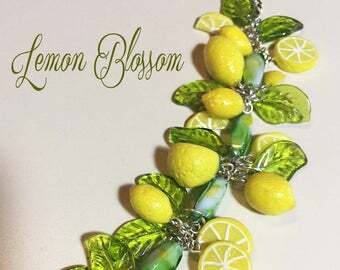 Just a lovely lemon set!